You can search for the name or GUID of the application here. The names of the portal applications are listed here. 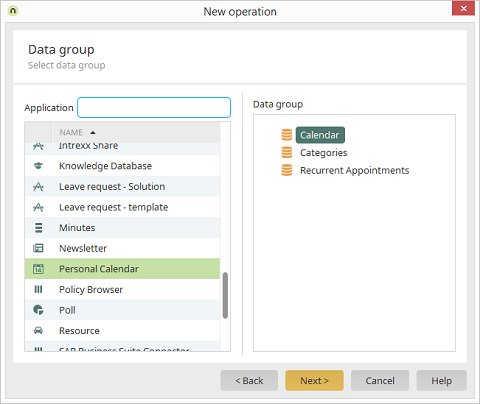 When you select an application, its data groups will be shown here for selection.